Using a unique computational approach to rapidly sample proteins in their natural state of gyrating, bobbing, and weaving, a research team from UC San Diego and Monash University in Australia has identified promising drug leads that may selectively combat heart disease, from arrhythmias to cardiac failure. The Dell HPC Community at SC16 has posted their Meeting Agenda. “Blair Bethwaite from Monash University will present OpenStack for HPC at Monash. After that, Josh Simons from VMWare will describe the latest technologies in HPC virtualization.” The event takes place Saturday, Nov. 12 at the Radisson Hotel in Salt Lake City. 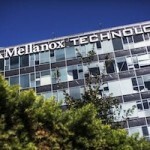 Today Mellanox announced that Monash University in Australia has selected the company’s CloudX platform based on Mellanox’s Spectrum SN2700 Open Ethernet™ switches, ConnectX-4 NICs and Mellanox’s LinkX cables to provide the network for the world’s first 100Gb/s end-to-end OpenStack cloud.